שמניב בסופו של יום ביצועים חזקים יותר מן הסתם ב- RS6 החדשה. ונאה יותר, (אופציה ל "21 ומתלי DRC ) כמובן לא פסחו על תפיחות בתי הגלגלים למענם. ומאחור דיפיוזר ענק וזוג יציאות מפלט אווליים מאיימים אחד בכל צד. ומעל ספויילר קטן לשיפור העיצוב הכללי. תצורת הסטיישן יש לומר,אהובה מאוד באירופה, בעיקר בגרסת ה RS6 . בכל פינה אם זה בקונסולה הקדמית ובדלתות. יש לציין כי המרחב הפנימי גדול וישרת משפחה "אוטובאנית" מהירה גם בכבישים הצדדים. אך ה RS6 זה מנוע, מנוע רב עוצמה, כפי שזכרנו בתחילת הידיעה, ההספק קטן אך הביצועים שופרו. שאחזו וגרמו ל-2,025 ק"ג להאיץ מ -0-100 קמ"ש "רק" תוך 4.6 שניות ועד למהירות מרבית בת 274 קמ"ש . פחות כוח יותר מוח (וביצועים). (לעומת 4.6 שניות בקודמת) ועד למהירות מרבית בת 305 קמ"ש (לעומת 274 קמ"ש בקודמת). תודות למנוע החדש שהגביר את המומנט ותכנון הנעזר בחומרים מרוכבים אלומיניום וקרבון שהפחיתו את המשקל. האאודי RS6 תושק באופן רשמי בתערוכת ז'נבה הקרובה בתחילת חודש מרץ 2013 . המתחרות: ב.מ.וו M5 סטיישן בעלת 552 כ"ס ומרצדס E63AMG סטיישן בעלת 550 כ"ס. 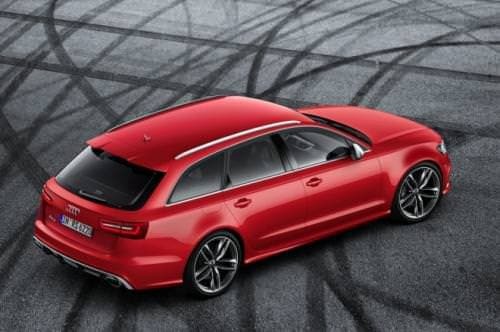 The new Audi RS 6 Avant stands for groundbreaking performance. It is lighter and more efficient than the previous model, and performance has been improved once again. The sprint from 0 to 100 km/h (62.14 mph) takes just 3.9 seconds, and top speed is 305 km/h (189.52 mph). The 4.0 TFSI develops 412 kW (560 hp), but is content with an average fuel consumption of just 9.8 liters per 100 kilometers (24.00 US mpg). 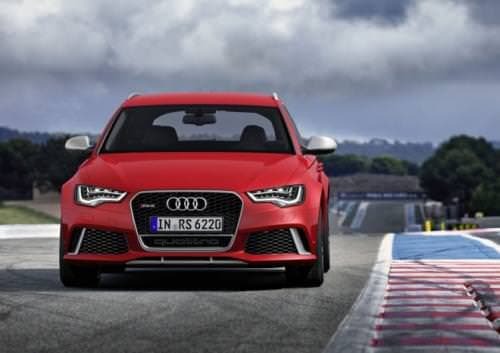 The new Audi RS 6 Avant is a high-performance sports car for everyday use. 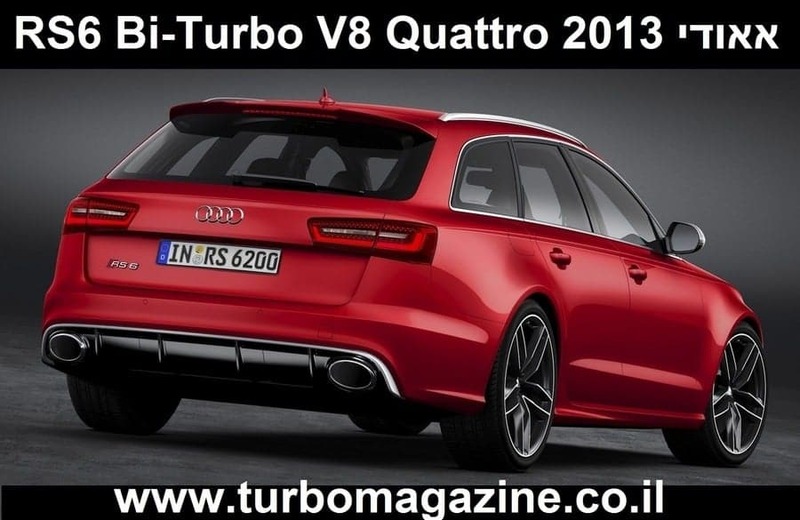 Its character and uncompromisingly sporty tuning is the work of quattro GmbH, a wholly-owned subsidiary of AUDI AG. The company’s RS models with their powerful engines form the dynamic spearhead of the model program. 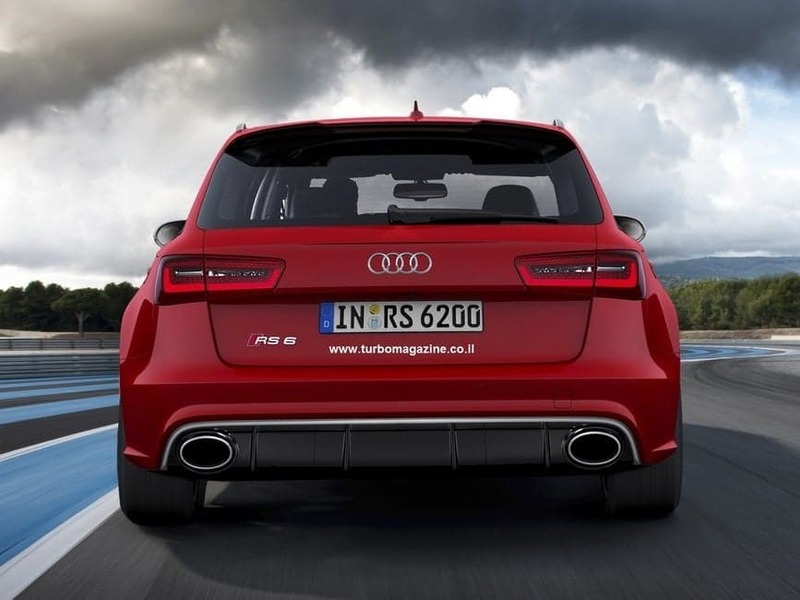 The abbreviation “RS” stands for the most powerful version of a model series, for quattro permanent all-wheel drive, for extreme handling, for an understated appearance and for full everyday utility. The 4.0 TFSI, which debuted last year, is a perfect example of Audi’s downsizing strategy in the high-performance category. In the new Audi RS 6 Avant, the twin-turbo V8 delivers confidence-inspiring power in every driving situation from its displacement of 3,993 cc. Peak output of 412 kW (560 hp) is reached between 5,700 and 6,700 rpm, with a constant 700 Nm (516.29 lb-ft) of torque available between 1,750 and 5,500 rpm. Pulling power develops quickly due in large part to the two large twin-scroll turbochargers. They are mounted together with the intercooler in the inside V of the cylinder banks. The exhaust side of the cylinder heads is also on the inside, the intake side outside. This concept allows for a compact design and short gas paths with minimal flow losses. The RS-specific engine management and unthrottled intake system also contribute to the eight-cylinder engine’s spontaneous response. 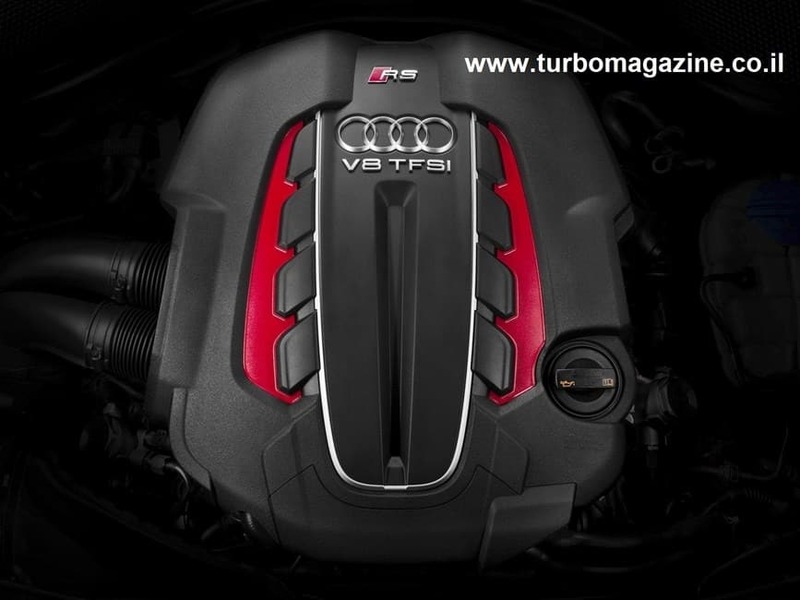 The 4.0 TFSI delivers a sporty, full-throated sound. Switchable flaps in the exhaust system make the sound even fuller, if desired. Audi also offers an optional sport exhaust system. 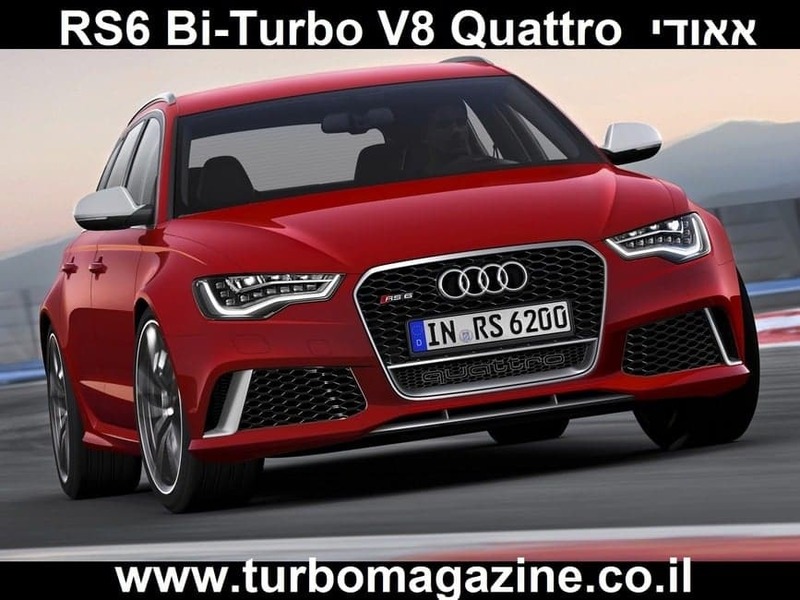 The powerful twin-turbo V8 accelerates the new Audi RS 6 Avant from zero to 100 km/h (62.14 mph) in a best-in-segment 3.9 seconds. In the standard configuration, top speed is electronically limited to 250 km/h (155.34 mph). 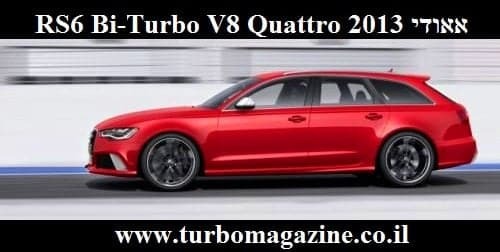 This is increased to 280 km/h (173.98 mph) with the optional Dynamic package. With the Dynamic plus package, Audi reigns in the engine only upon reaching 305 km/h (189.52 mph). According to the European driving cycle, the high-performance Avant consumes on average just 9.8 liters of fuel per 100 km (24.00 US mpg). Among the factors contributing to this figure are the new, standard start-stop system and innovative thermal management. Fuel consumption has been reduced by roughly 40 percent compared to the previous model. One pioneering efficiency technology in the new Audi RS 6 Avant is the cylinder on demand (COD) system. At low to intermediate loads and engine speeds, it shuts down the intake and exhaust valves of cylinders 2, 3, 5 and 8. The 4.0 TFSI then runs as a four-cylinder engine until the driver accelerates more strongly again. Efficiency in the active cylinders is increased because the operating points are displaced toward higher loads. The changeover from four and eight-cylinder operation takes just a few hundredths of a second. About the only thing noticeable to the driver is an indication in the instrument cluster. The COD technology reduces ECE fuel consumption by roughly five percent. Even greater savings of approximately 10 percent are possible when driving at moderate speeds. Active engine bearings use out-of-phase counter-oscillations to compensate for the vibrations that occur during four-cylinder operation. The 4.0 TFSI is paired with an eight-speed tiptronic featuring shortened shift times. The automatic transmission offers D and S modes. Drivers who wish to shift for themselves can use the shift paddles on the steering wheel or the selector lever, which sports a unique RS design. The lower gears of the tiptronic are tightly spaced for sporty performance, while a tall eighth gear reduces fuel consumption. At the heart of the quattro permanent all-wheel drive system with torque vectoring is a self-locking center differential with an elevated locking value. An oil cooler regulates its temperature. If desired, the sport differential distributes the power steplessly between the rear wheels to further increase agility and stability. 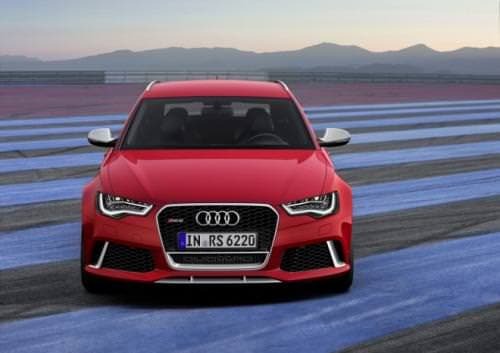 The new RS 6 Avant is the first RS model from Audi to come standard with a specifically tuned air suspension. The dynamic setup of the RS 6 adaptive air suspension lowers the body by 20 millimeters (0.79 in). The system combines the air suspension with controlled damping and takes into account the road conditions, the driving style and the mode chosen in the driving dynamics system Audi drive select, with which the driver can influence the function of key components in multiple steps. Audi also offers the tauter sport suspension plus with Dynamic Ride Control (DRC) as an alternative to the RS 6 adaptive air suspension. This system uses steel springs and three-way adjustable shock absorbers that are interconnected diagonally by means of oil lines and a central valve for improved body roll stability. Another option is dynamic steering, which features steplessly variable steering boost and ratios. This system can also be integrated into Audi drive select and, just like the standard electromechanical power steering, is tailored specifically for the RS 6 Avant. The brakes offer uncompromising performance. The four internally vented discs feature a weight-saving wave design with a wave-like outer contour. The front discs measure 390 millimeters (15.35 in) in diameter and are gripped by black, six-piston calipers. Customers can also opt for red brake calipers. Also available as an option are carbon fiber-ceramic brake discs measuring 420 millimeters (16.54 in) in diameter. Their calipers are painted anthracite gray. The electronic stabilization control (ESC) has a Sport mode and can also be deactivated entirely. 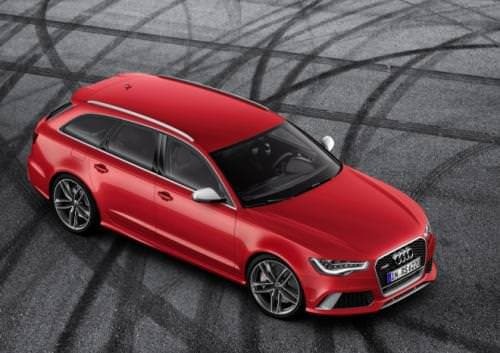 The new Audi RS 6 Avant comes standard with high-gloss, 20-inch, forged wheels in a seven twin-spoke design. Optional 21-inch cast wheels are available in three versions: high-gloss silver, polished black and polished titanium-look. The body plays a major role in the handling. It is roughly 20 percent aluminum and includes numerous components made of high-strength steel. 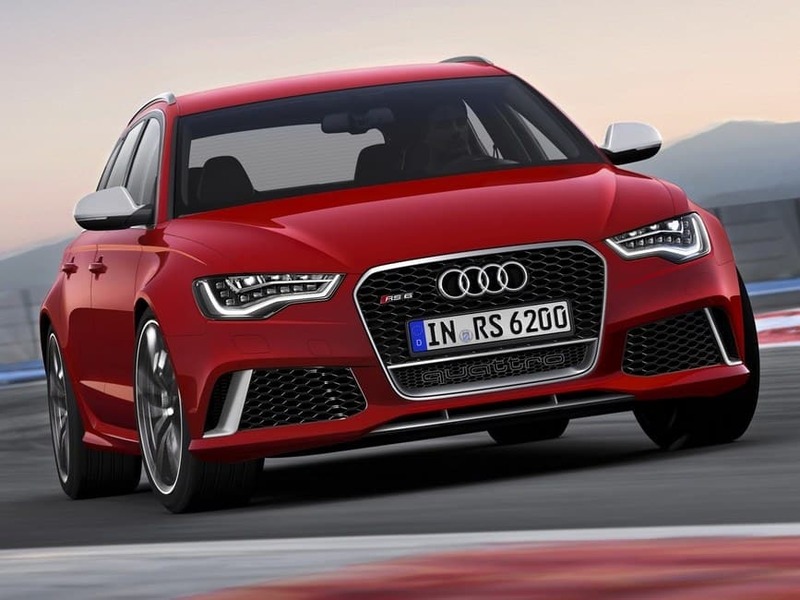 The new Audi RS 6 Avant weighs roughly 100 kilograms (220.46 lb) lighter than its predecessor. The improved power-to-weight ratio contributes to even better handling with improved performance coupled with reduced fuel consumption. 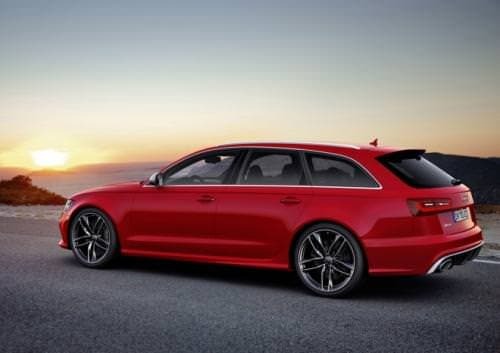 Numerous RS-specific design details underscore the distinctive appearance of the high-performance Avant. Most noticeable are the matte aluminum applications on the body, the high-gloss black protective grille at the front of the car, the bumpers, the fender, sill flares and the large roof spoiler. At the rear of the car, the diffuser and the two large, elliptical exhaust tailpipes make a bold statement. 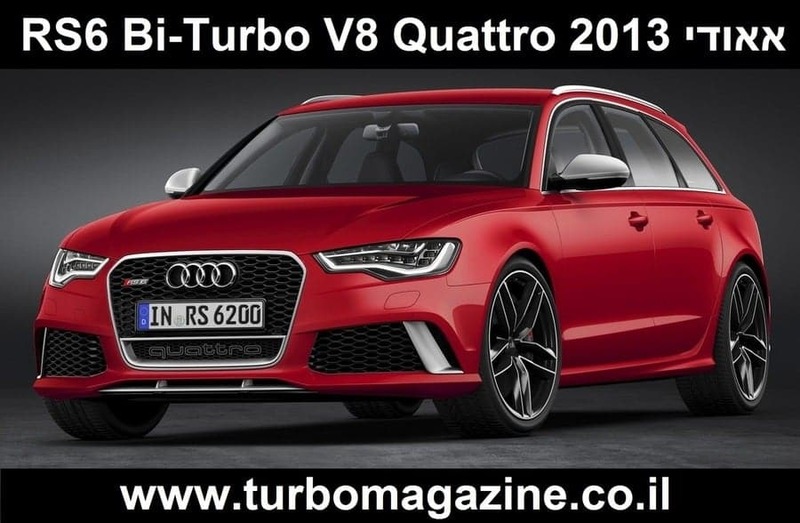 Two optional appearance packages – Matte Aluminum or Carbon – further customize the look and include such things as quattro badges on the central front air inlet. With the Carbon appearance package, the front splitter and the diffuser are even more boldly shaped. 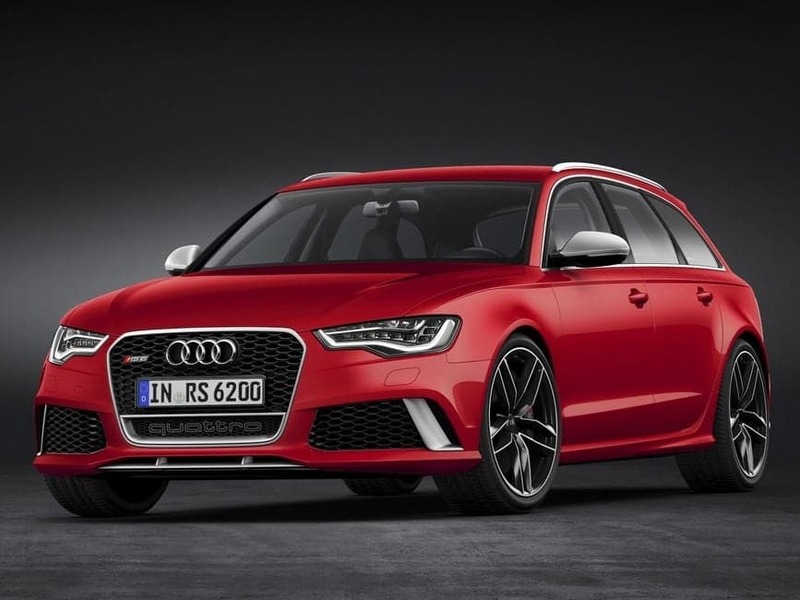 The new Audi RS 6 Avant is available in nine exterior colors, including the exclusive shade Daytona Gray matte. Additional options from the Audi exclusive range offer numerous opportunities for customization. The sportily elegant cockpit of the new Audi RS 6 Avant is singularly tailored to the driver. The dial instruments feature black faces, white dials and red needles. 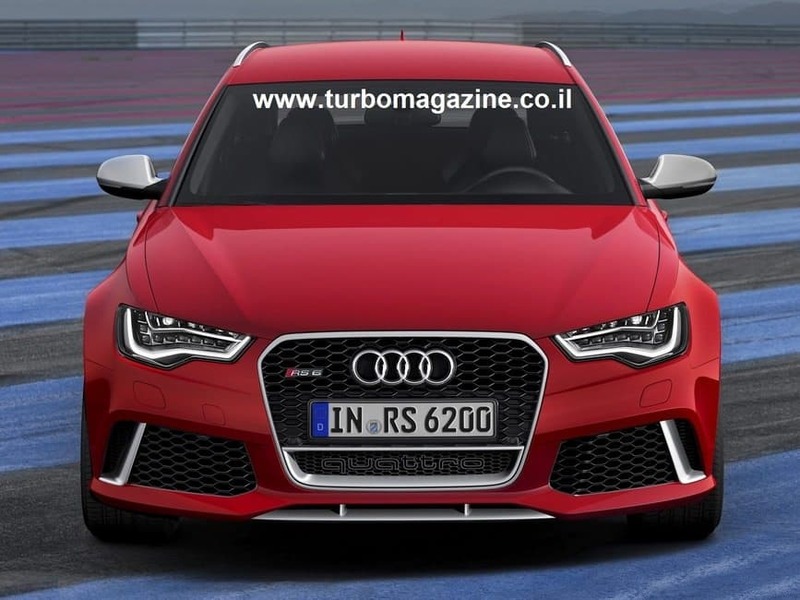 The key; the flat-bottomed, three-spoke, multifunction steering wheel; the illuminated entry sills; the tachometer and the displays for the MMI as well as the driver information system (DIS) sport RS logos. A new feature in the RS menu of the DIS is the shift light. Green segments are illuminated as revs increase. The bar turns red and begins to blink when revs approach the red line. Displays for the gear selected, boost pressure, oil temperature and a digital speedometer round out the RS 6-specific driver information system. The footrest, pedals and switches in the MMI navigation plus terminal shine in an aluminum-look finish. The decorative bezel surrounding the retractable monitor sports a piano finish; the interior door openers feature a delicate double-bar design – a classic RS feature. Carbon inlays are standard; six additional materials are available as options. A black headlining is standard; Moon Silver or black Alcantara are optional. RS sport seats with pronounced side bolsters, integrated head restraints and RS 6 logos are standard. They are covered in a combination of black Alcantara and leather, and the center sections feature diamond quilting. The seats can also be covered in high-grade, honeycomb-quilted Valcona leather in either black or Moon Silver. Audi offers optional power-adjustable deluxe seats with memory function. The Audi RS 6 Avant comes standard with two sportily molded rear seats. A three-person bench seat is available as an option. The luggage compartment holds up to 1,680 liters (59.33 cu ft). 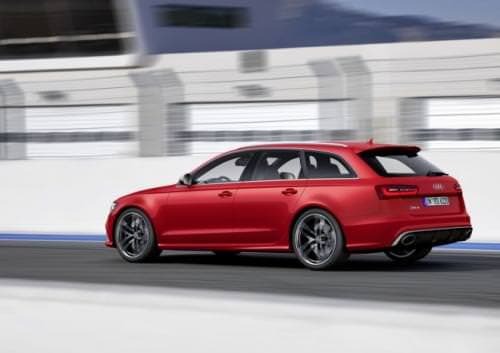 The new Audi RS 6 Avant comes with a generous list of standard equipment, including xenon plus headlights, LED rear lights, a tire-pressure control system, illuminated entry sills and the custom driver-information system. Also on board are the parking system plus, cruise control, three-zone automatic air conditioning, MMI navigation plus with MMI touch and the 10-speaker Audi sound system. Options include LED headlights with a unique design, ceramic brakes front and rear, the sport differential on the rear axle and the sport suspension plus with Dynamic Ride Control (DRC). The Dynamic package, Dynamic package plus, Comfort package and practically every high-end option available in the model series are also available for the RS 6 Avant. These include the head-up display and the high-performance driver assistance systems as well as the Bang & Olufsen Advanced Sound System with 15 speakers and 1,200 watts of total power. The Bluetooth online car phone – the perfect complement to the MMI navigation plus – delivers web-based Audi connect services to the car.